While some parents worry that their kids’ online life is a poor substitute for real world interactions, the reverse may be true for some children with autism. These are promising findings, but how do social skills learned and practiced in digital realms translate to better interpersonal interactions? Katie Bowman’s experience with her 12-year-old son, Shaori, offers a compelling case study about how participation in an online community can have a transformative effect on the social life of a child with autism. “Diagnosed with Aspergers (a type of high functioning autism) at three, Shaori has the classic social difficulties that mark the condition,” said Bowman. Although kids on the spectrum want to be social, they struggle with some aspects of interpersonal communication, such as having difficulty initiating social encounters, detecting irony or nuance, processing non-verbal cues, exhibiting emotional reciprocity, and they can have a tendency to fixate on a single topic. “Shaori had always been so silent and locked away socially. Even back in pre-K, one of the other children had turned around and said ‘Wow, he actually can speak’ after a rare conversational moment. As parents, that broke our hearts, especially knowing the joyful firecracker he was at home,” said Bowman. At summer camp, Shaori similarly struggled to make connections and foster friendships, which led to sporadic attendance. “We felt that online camps were a last resort, something that would at least ensure he talked to other children over the summer, even if he didn’t actually leave the house,” said Bowman. 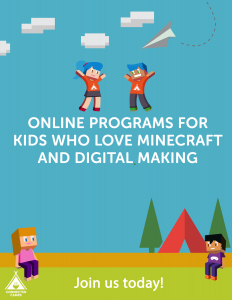 They chose Connected Camps because of the Minecraft and Scratch programs, which played into Shaori’s interests. Little did the Bowmans suspect that their “last resort” would mark a turning point in Shaori’s young life. Because Shaori was on his computer at home, the Bowmans could discreetly coach their son with tips on etiquette and protocol in a way that would seem unnatural or invasive in a physical group setting. As his mentor, Luke Lohden guided Shaori through various camp projects, including coding, game design, and engineering, and watched him develop as he became more invested in the community. “I’ve been touched to see the generosity Shaori is developing in helping the other people in the program,” adds Bowman. Kids with autism can fall into a cycle where awkward social encounters can erode their confidence, and the attendant discomfort can cause them to avoid further social situations. As interpersonal contact becomes more limited, the lack of practice can further inhibit social skill development. Online channels of communication reduce many of the complexities of nonverbal communication that can be confusing and distracting for someone on the spectrum. Text-based conversations are paced and leave a permanent record, which allow people on the spectrum to better focus on the message and allow time to devise corresponding response strategies. Successful communication can spark an upward cycle that increases confidence and leads to further success which, in turn, builds more confidence. During this time, Shaori became much more conversant with his classmates, a welcome change that Bowman attributes to the growth of his social confidence at camp. 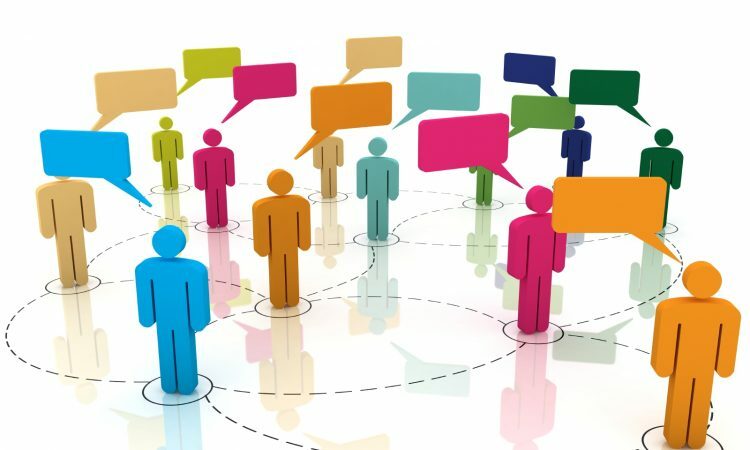 A suitable online community can be a safe and structured place to rehearse social protocols that can later be performed more confidently in the less orderly outside world. Routine conversations are peppered with scripted phrases like wishing somebody a good morning or asking “how was your weekend?” which contribute to a sense of mutual ease. But a child with autism may not see the value of these seemingly frivolous transactions. Despite his initial resistance, Shaori eventually started to apply the social script and addressed the other campers with greetings and small talk. His parents were thrilled to see this new habit also scaffold to school, where they watched him salute his classmates during car drop-offs and pick-ups, and the happy recounting of real life interactive school stories are now commonplace at the dinner table. Shaori’s improved social skills and growing confidence encouraged him to assume more responsibility within the community. Shaori was keen to give back, and he approached his parents about formally applying for a junior volunteer position at Connected Camps. Besides honing his day-to-day social skills, Shaori has come to understand and enact citizenship, responsibility, leadership, reciprocity and empathy, all of which speak to a healthy and productive engagement with his community. “The sense of not being on his own has surpassed the social and showed him the possibilities of working within a team to achieve an end goal,’ said Bowman. Autism is manifest in diverse ways, and not all assistive interventions will produce uniform results with all kids. Shaori’s story is certainly encouraging, but it’s important to remember that he found a community that nourished his specific interests, and that he enjoys the support of involved parents and a good school. There are no magic bullets, and much more research is needed, but this case indicates that, for some children on the spectrum, online communities can reduce the pressures of social transactions, and even lead to the deeper fulfillment produced by a sense of belonging.